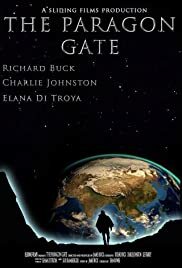 The only way to save the remaining people on Earth is for Cal to travel through the Paragon Gate. Once there, loneliness sets in, with just LEM, an AI to keep company: until he encounters Pope, who brings more questions then answers. London, 2084. An interstellar migration cop's fateful encounter with a young prostitute leads to a violent shot at redemption. Two men are stranded at the bottom of a well. One, with a serious injury to his head, thinks his has fallen in is own back garden in present-day Britain. But the other tells him they are really prisoners in a medieval dungeon. Who is right, and where are they really? 2035, United States of Europe. Some humans are not sustainable anymore. What if we, humans, were to expand beyond the limited bounds of our pale blue dot called planet Earth? A Native American Veteran, burdened by survivor's guilt after a disastrous military tour, is forced to search for his missing grandfather after his ancestral land is mysteriously taken over by an unknown federal organization. A mysterious building is the gateway to infinite parallel Earths.